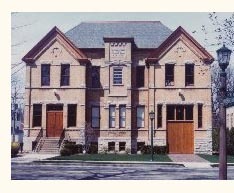 Members receive a 10% discount on most purchases. To become a member, click here. All prices on books include shipping and can be purchased online. Gift items other than books can be purchased by calling the Museum at (847) 853-7666 and the UPS shipping costs will be added to the total charge. If you wish to save on shipping costs, stop by the Museum to make your purchase. 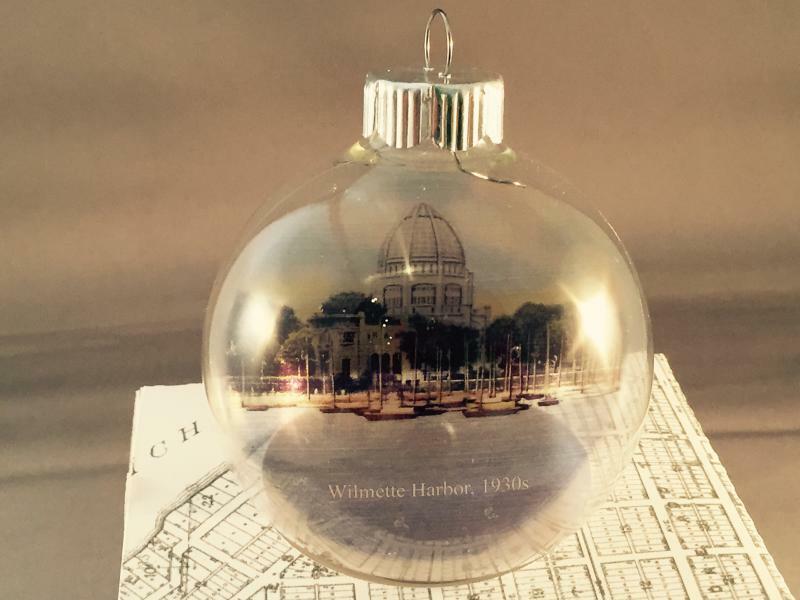 Glass ornament with photo either of the Wilmette Harbor with the Bahai Temple or of the 1873 Train Depot. 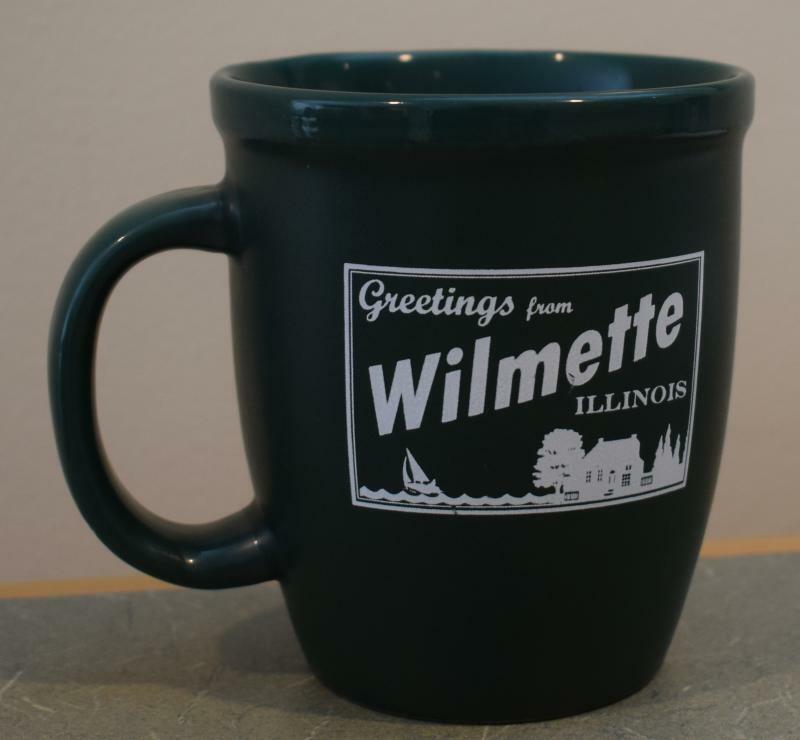 Detail from map of Wilmette circa 1918. 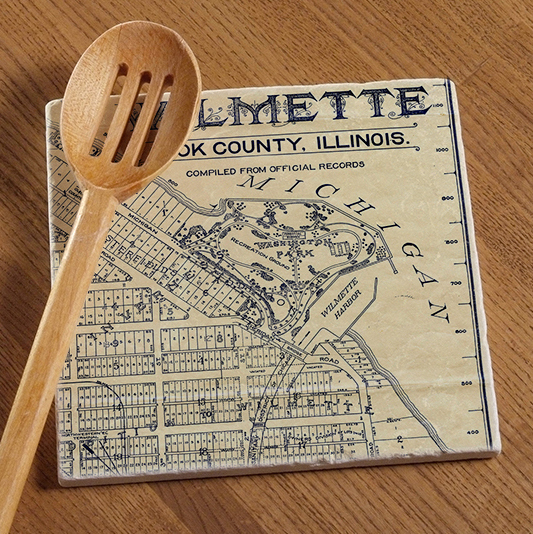 Trivet is handcrafted and made from imported marble. 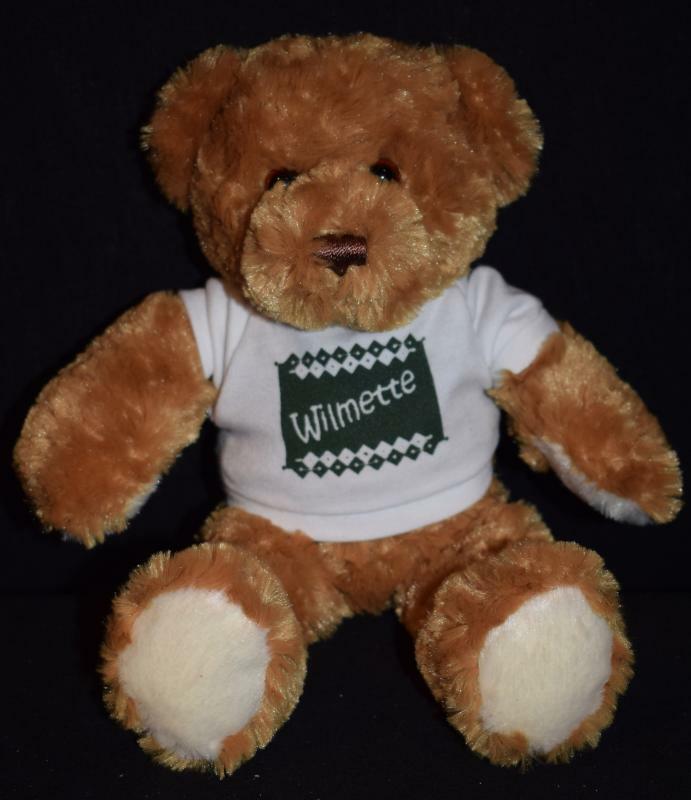 Plush Teddy Bear sporting a Wilmette T shirt. 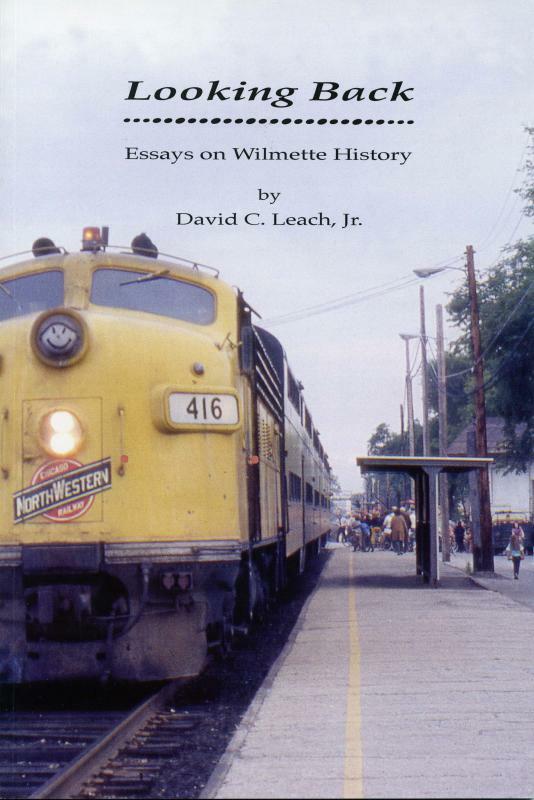 From the evolution of street lighting to the railroad crossing controversy to the making of Wilmette Harbor, Dave Leach enthusiastically explored fascinating nooks and crannies of Wilmette history in his essays in the Village newsletter. This volume collects a generous helping of favorites, illustrated with photos from the Museum’s collection. 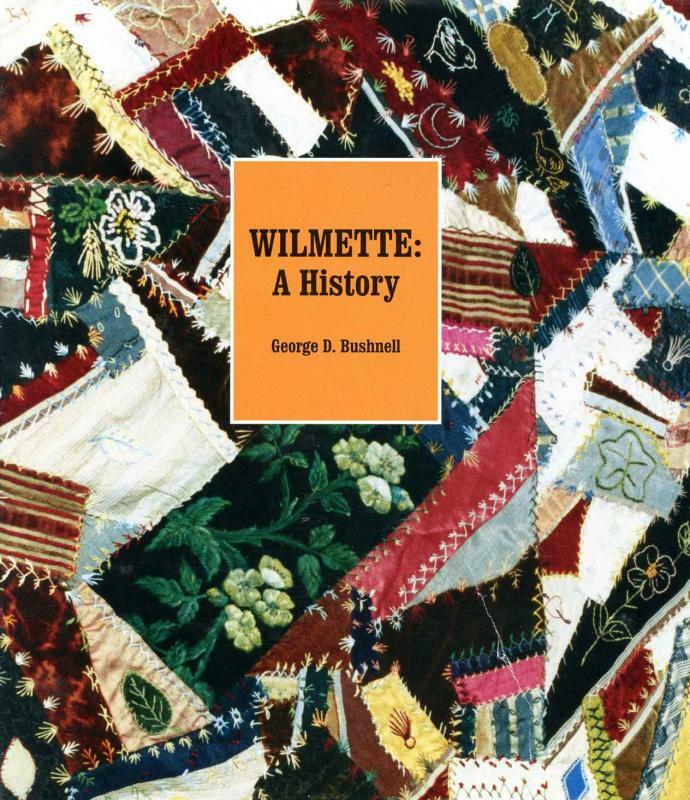 Drawing upon the extensive collections of the Wilmette Historical Museum, the authors have chosen images that capture highlights from over 150 years of Wilmette's varied, and occasionally contentious, history. 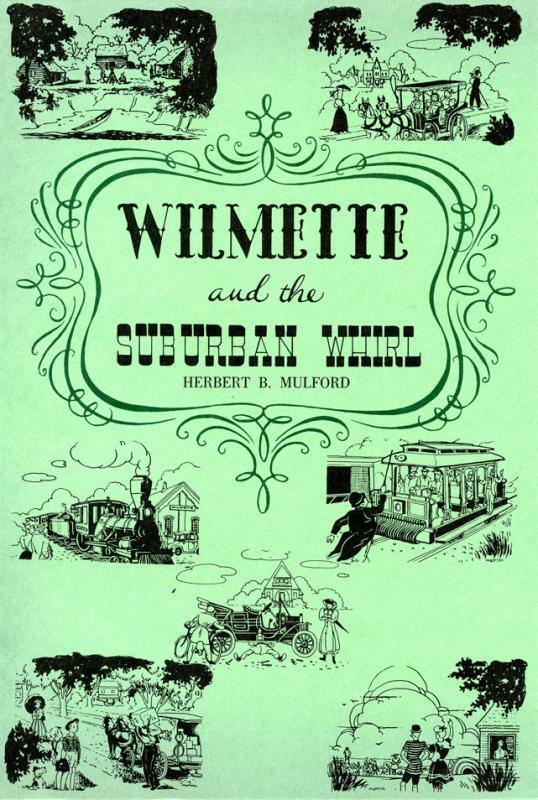 A detailed, narrative history of Wilmette and environs, with illustrations. 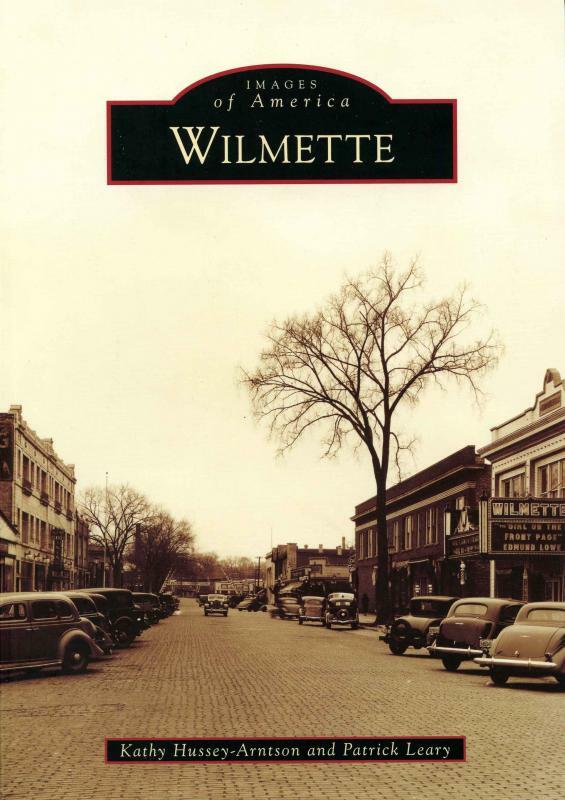 A series of historical essays on the village, originally printed in the Wilmette Life in the 1950s. Award-winning history. 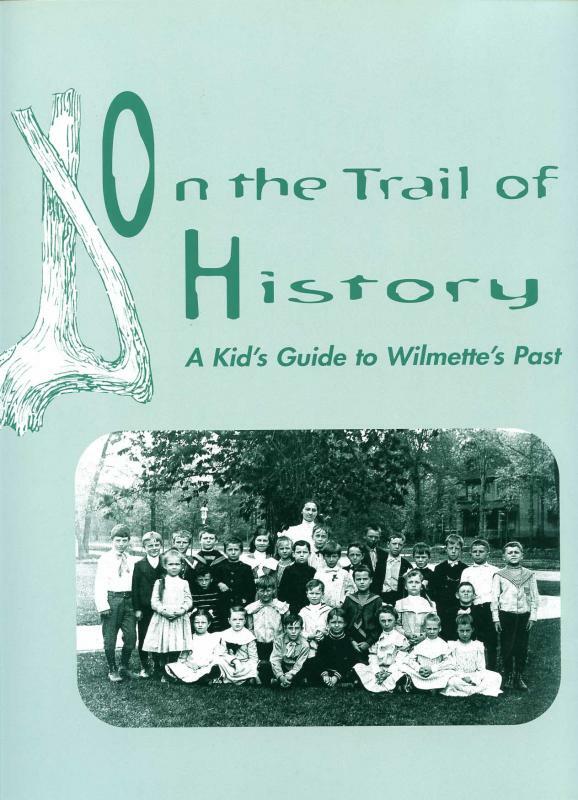 Lively narrative, imaginative layout, "fun facts," and over 50 photographs, drawings and maps. 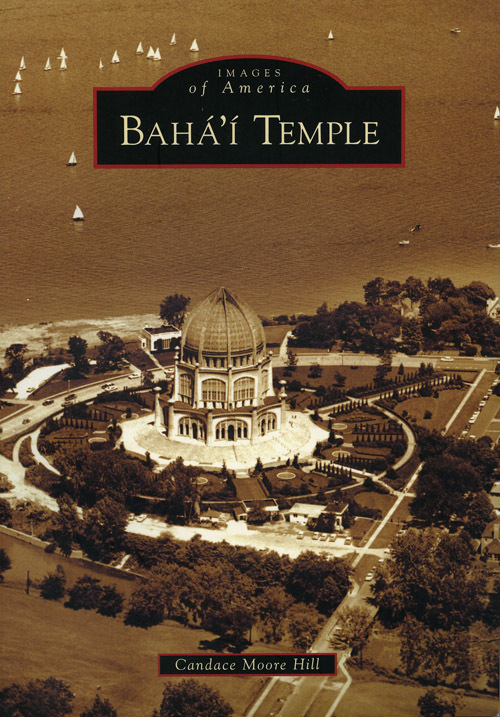 Lively archival photographs detail the history of the Bahá’í House of Worship in Wilmette.